Winter seasons are not typically known to produce large hatches of aquatic insects, particularly in our part of the country. 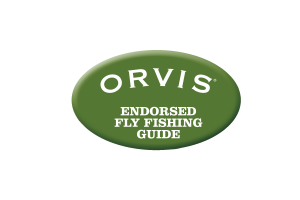 However, if you’re going to run into a hatch worthy of bringing fish to the surface during the cold winter months, it’s likely to be a hatch of Blue Wing Olive mayflies. Blue Wing Olives, or BWO’s as they’re commonly called, are one of the most erratic hatches that I know of. While most aquatic insects hatch at fairly predictable times of the year, BWO’s are likely to come off anytime of the year, typically on the crappiest day imaginable. I can remember guiding someone in the park several years ago in early May, a time when we’re usually seeing good sulphur hatches (and about anything else yellow). We had an unusual and harsh cold front come in where highs were hitting 50-degrees at best. It was cold, windy, and raining and the fish had more or less shut down. We’d had a tough morning to say the least and while shivering through lunch, we were considering calling it in. I suggested hitting one more nearby pool and to our surprise, it had fish rising in it… a lot of them. Without giving it much thought, I tied a sulfur on his line since that’s what had been hatching… Every. Single. Day. But when he began fishing to them, the sulfur imitation repeatedly drifted through rising trout, untouched. So I switched him to a different, smaller sulphur pattern. Same result. Then, I switched him to a sulphur emerger. Nothing. I was making a mistake that a lot of fishermen make. My decisions were based on what the fish had been or should be doing rather than what they were doing. Eventually, I waded out to the channel in the very back of the pool where I wouldn’t disturb the fish and focused closely on the surface of the water. What I found was not the size #16 sulfurs that had been hatching for the last week. Instead, I saw dozens and dozens of size #20 BWO’s. Fly selection is 45% experience, 45% science, and 10% dumb luck, and I had been relying 100% on experience! We made the appropriate fly change and were into fish for a solid four hours before the hatch ended and the fish went cold again. There are a lot of morals to this story but the one most relevant to the topic of this article is that BWO’s can hatch anytime. And they usually like to hatch on the foulest of days. 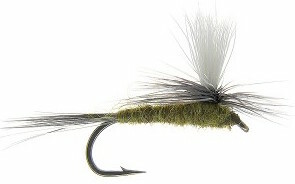 With that said, don’t rush out to the Smokies in February because Rob Fightmaster said there would be a great BWO hatch. But if you’re on the water in less that ideal conditions and fish are rising, look for BWO’s. If you don’t see anything but just want to try something on the top, try a #18 or #20 BWO. I ALWAYS have at least a few BWO’s in my fly box in these sizes. 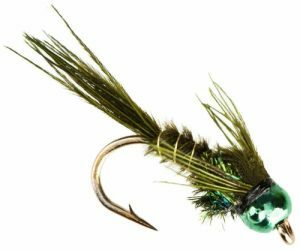 I carry different versions but prefer something with a dark olive body and medium dun hackle in a parachute or comparadun style pattern. Again, a hatch can occur at most anytime but you’re most likely to encounter them between late fall and early spring, at least in this part of the country. And you’re just as likely to see them hatching on a tailwater as you are in the mountains. 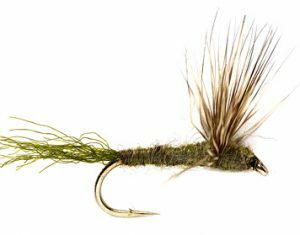 Of course, for every fishing eating a BWO on the surface, there are probably five eating a BWO nymph. The nymphs are also usually dark olive in color and can typically be imitated with an olive Pheasant Tail or olive Pheasant Tail nymph. Both are good choices during a hatch or just blind “nymphing” in the winter months.